In the area of the Municipality a network of 10 hiking trails has been established. They follow either ancient paths or goat trails and old footpaths connecting hamlets or locations used by the locals. Most of the paths are well preserved and sign-posted. At the beginning of each one there is a sign with information on how they should be hiked. 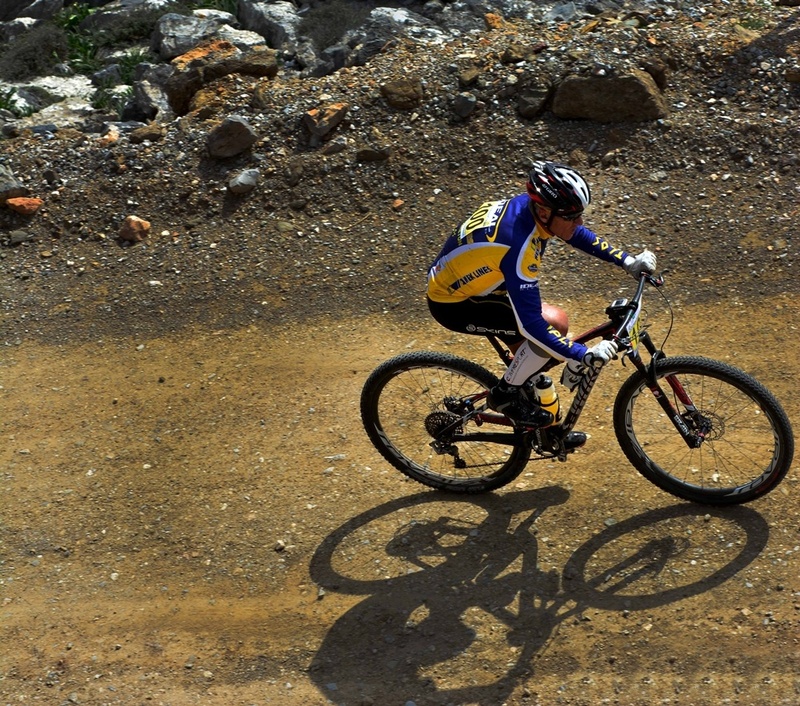 Furthermore, there is a network of 5 mountain biking routes. Months recommended: April, May, June, mid-September to mid-November. Avoid very hot days. Hiking the Municipality trails is enjoyable even in winter (unless stated otherwise in the separate description of each trail), as the winter in Crete is mild. Water: Throughout the trails, there are few springs with drinkable water. Take a moment to estimate your personal needs depending on the duration and difficulty level of each trail. Avoid drinking from rivers, wells or springs that are not appropriately marked. Difficulties :Do not underestimate the mountainous character of Municipality mountains. At many points on the trails the terrain may be loose or slippery due to rain, a fact that makes it significantly more hazardous, especially along steep sections. Take care during fog, especially in the mountainous areas of the Asterousia, where trails are not always easily discernable. Fences: On trails that lead through grazing areas you may encounter closed fences. Make sure you close any gates you walk through. Keep your distance from sheep dogs and avoid behaviour that could be perceived as aggressive. Road network: Access to the Municipality is through the urban centre of Heraklion, heading towards Archanes and Peza, either taking the old country road or the new central road network. If you take the new road, access is through the motorway and requires far less time than the country road, which, although paved with asphalt, has many turns and limited visibility at points, which increases risk. Nonetheless, if you take the country road, you will be compensated by the view of the vineyards in the plain, the valley and the view of Knossos Palace, of the Arab aqueduct at Agia Eirini, and the lush vegetation throughout the route, thanks to the Katsambadianos River. If you want to fully satisfy the explorer in you, wander around the dirt roads that start in the villages and lead to various points in the countryside; if you are in the Asterousia Mountain Range, prepare yourselves for endless off-road routes that will amaze you with the wildness and beauty of the landscape. A 4x4 vehicle is a ‘must’ in such cases. Sing-posting: Signs are not posted on all trails. Furthermore, some trails are not even clearly set out and follow goat trails. If you estimate that your experience with mountains is adequate you can attempt following them, but we recommend you first visit the Municipality website www.archanes-asterousia.gr ,where you can download the coordinates of each route onto your GPS, providing you with information per stop, thus making your trek easier and more interesting. Changes in trails: The information in this map was accurate at the time it was published and the publisher is not liable for possible future changes. Changes in the trails or in the conditions of the trails may be due to human intervention (farming, animal raising, public works) or weather conditions (local torrential rain causes significant alterations to trails). Safety: In general, the trails in the region are manageable, without great difficulties or technical demands. Hikers follow the trails described at their own risk. They are responsible for any accidents that may befall them or any damage they might cause, such as forest fires, pollution, degradation of the environment, etc. Your safety on the mountain depends entirely on your personal judgement, training and experience, as well as the assessment of your own skills. Use of the information in this document must be combined with the understanding on your part of the dangers hiking in unknown areas entails and with the recognition of your personal responsibility in the choices you make regarding your safety. Poisonous animals/insects: There are no poisonous animals on Crete, but you should take the necessary precautions in case you are allergic to certain insect stings (i.e. there are bees everywhere) or other land or sea creatures. Low (1-2): Suitable for any interested party, even children that are accustomed to hiking. Medium (3-5): Suitable for those in relatively good physical condition with elementary mountain hiking knowledge. High (5-6): Suitable for experienced climbers and hikers. Hiking tour durations: The duration quoted for each trail is indicative for the pace and skill of an average hiker. Attention! Breaks and stops are not included in the time indicated. In plains or slightly hilly areas the walking pace is calculated at approximately 4 km/hour. In purely mountainous terrain with high inclines, hiking uphill is calculated based on 300m in altitude difference per hour, while hiking downhill is calculated at 400-500m altitude difference per hour. This data should be adjusted based on the personal pace and physical condition of the hiker, the weather conditions, the weight of the backpack, etc. Necessary personal equipment: Hiking boots/walking shoes, hiking baton, sun screen, hat, sunglasses, wind breaker, small backpack, hand or head torch, bags for rubbish, etc. depending on the type of activity you choose.